For those reminiscing about the warmth and familiarity of an authentic small town, Walterboro provides the perfect opportunity to step back through time. Visitors today are reminded of the town’s early days as a summer retreat-tree-lined streets where quaint homes with broad porches are surrounded by centuries-old azaleas and camellias, beautiful churches that date to the 18th century. The early planters who summered here also built the town’s first library in 1820. This and a number of other historically significant buildings still stand today, with some listed on the National Register of Historic Places. 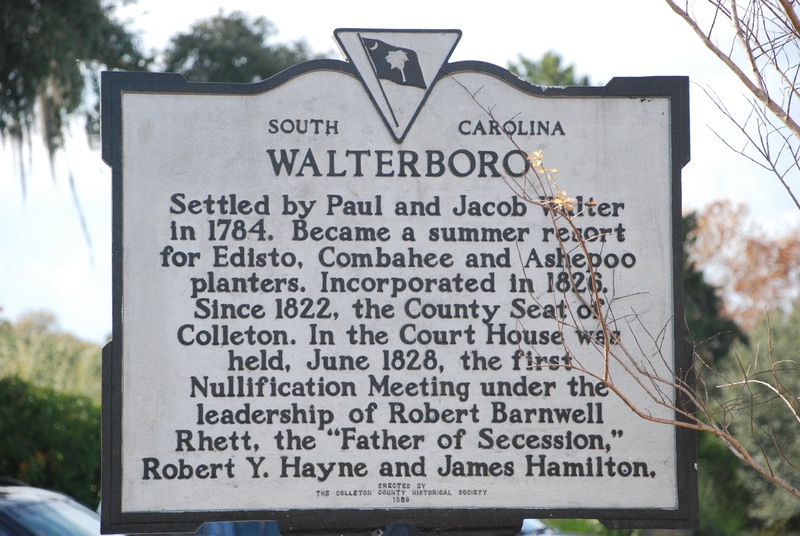 While respecting its past, Walterboro also is a town firmly rooted in the present. Wander streets filled with lively antiques shops, or stop into one of its many restaurants. There’s a farmers’ market, history museums, modern shops and boutiques, and one of the finest folk art galleries in the South. Treasure-hunters love scouring the village’s dozen antique shops, finding everything from high-end antiques to fun vintage souvenirs or shopping the rustic Walterboro farmers’ market for farm-fresh produce and delicious homemade food products. The South Carolina Artisans Center strives to preserve and perpetuate the state’s folk art and highlight its rich cultural heritage. From lower priced creations to works that are valued at thousands of dollars, execution is consistently high, many pieces being of museum quality. Walterboro embraces history with a number of small, well-documented historic museums. The Slave Relic Museum documents and celebrates the history and culture of African-Americans. The museum features a collection that includes Underground Railroad artifacts and slave-made quilts, furniture, and tools. Photographs and documents explore the African slave trade and stories of slaves in the Antebellum South. The Colleton Museum, listed on the National Register of Historic Places, is located inside an 1855 jail. The museum features exhibitions exploring the area’s cultural and natural history from the time of the dinosaurs to present day. Nature lovers can take advantage of South Carolina’s year-round balmy weather and enjoy the quiet solitude of the ACE Basin and the Great Swamp Sanctuary, which is accessible from downtown. From sunrise to sunset, a visit to the sanctuary promises a day full of hiking, canoeing, and cycling through pristine Lowcountry swamps where flowers and Spanish moss drip from Cyprus trees. Known for Southern Hospitality and historic homes, Walterboro is truly The Front Porch of the Lowcountry. .